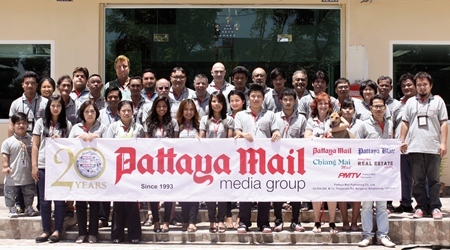 Home Features Pattaya Mail turns 20! July 23, 2013 will be the 20th anniversary of the day first Pattaya Mail, Vol. I No. 1, hit the newsstands. By all accounts, it is just shy of a miracle that we made it this far. The fact that we did is in no small part due to you the reader, you the advertiser, and you the contributor. It is with heartfelt thanks that we salute you and hope we may continue to live up to your expectations for the years to come.